Education remains a challenge for the development of the country, since many kids living in remote villages do not have access to education. According to Cambodia Socioeconomic Survey 2010, the fact that children are expected to “contribute to household income” is an explanation for their low attendance figures at school. The percentage of children not attending school in Cambodia reached 26.4% in 2011. Even though half of the Cambodian population is aged under 22, only 2.6% of Cambodia’s Gross Domestic Product was spent on education in 2009 (World Bank Data). In comparison the figure reached 6.3% in Vietnam for the same year, making Cambodia one of the countries spending the lowest budget in Education. At CDO we are convinced that children are a potential key to allow Cambodia to take off and have a sustainable development. That is why CDO School has developed so much since 2010. 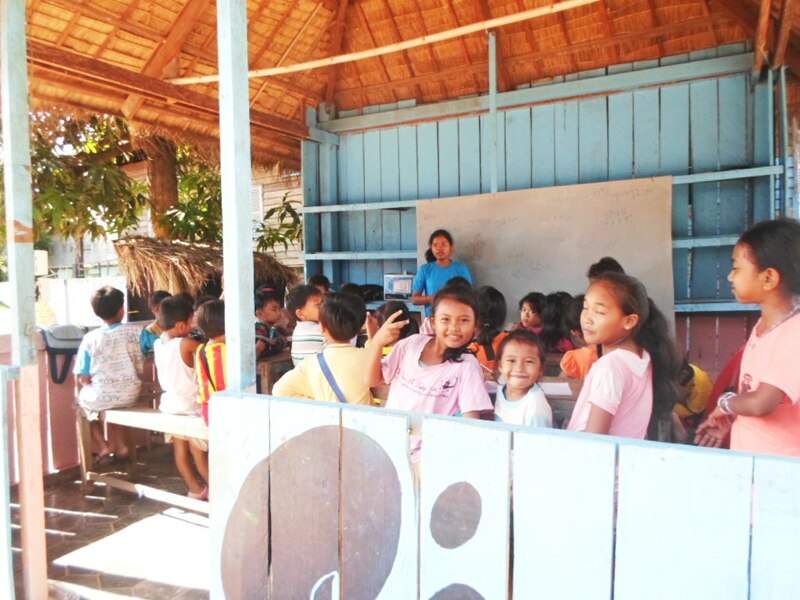 The CDO School welcomes over 100 kids everyday both from CDO Home and outside. The outside kids come from Siem Reap and around and go back home after class. 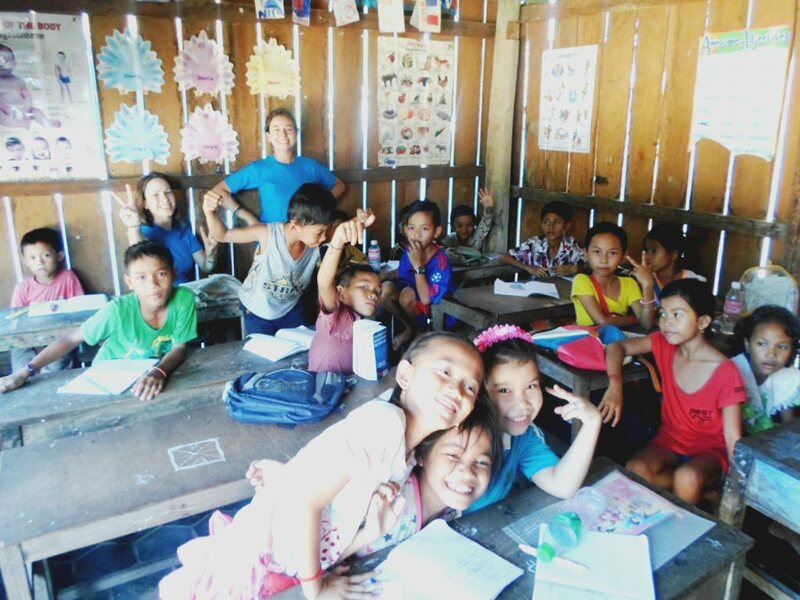 Even though these kids do not live at CDO Home, attending CDO School‘s classes allows them to have a better knowledge of the English language and gain self confidence and ambition. They attend English classes, in the morning or afternoon, divided into 6 levels. The children attending class A,B,C and D vary greatly in age (from 7 to 18 years old) and are instead divided into each class based on their current English skill and knowledge. They then have the opportunity to pass an exam in order to jump from one level to another. The Kindergarten 1 is an introduction to English language for children aged 3 to 6 years old. 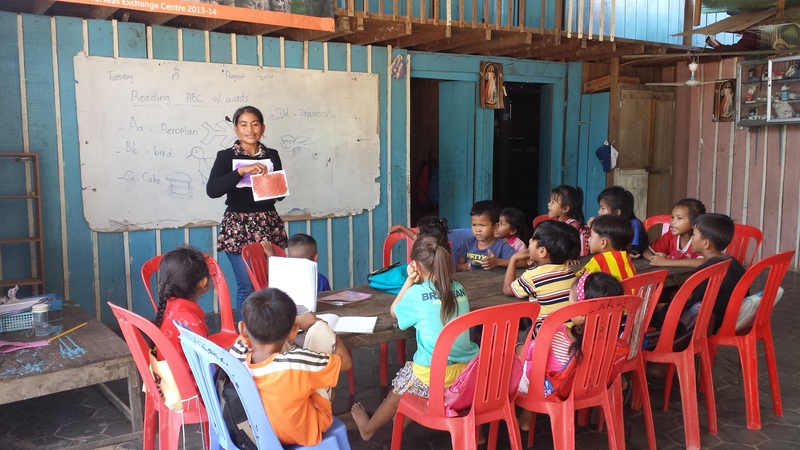 The children benefit from the full time presence of a Cambodian teacher. They are taught a whole new alphabet and numbers based on a didactic learning. In Kindergarten 2 the children’s age vary between 6 to 12 years old. Here they develop basic language skills needed in classroom and in daily situations. They are taught to develop their vocabulary so they can start constructing their own sentences when they reach the next level. That is the purpose of this class, as well as introducing them to reading and writing skills. Following English taught in Kindergarten.The children continue learning how to read, discover the basics of building sentences, and they are able to ask and answer basic questions. They also learn common words and verbs such as to be, to like, to sleep, to drink… They are able to have simple conversations in present simple tense. The goals of class B are to develop greater skills in listening and speaking for basic communication both in the classroom and outside the classroom. Moreover, this class also aims at expanding reading and writing skills, by gaining in depth knowledge in how to build a proper and correct sentence, and with the use of increased amount of words, that are also slightly more difficult. Kids are taught the understanding of comparatives and adjectives (big, bigger, biggest) and how to use these in a sentence. Other topics are on the agenda too: how to handle verbs, introduction to present simple, present continuous and simple past. The ability to understand and analyze a longer text is also practiced. Class C is an extension of the skills learned previously in Class B. It focuses on syntax, continued vocabulary development, reading, listening comprehension, speaking and pronunciation skills, and writing multiple-paragraph compositions that demonstrate organization of ideas. Intensive grammar instruction that supports academic writing skills is emphasized, like using present simple,present continuous, past simple and future verbs. Class D is the highest level in the CDO School. The children mostly learn English grammar (such as irregular verbs, passive forms, present perfect, past continuous…) to improve their English. They already master common English vocabulary, and they perfectly understand their teacher’s oral speaking and writing. 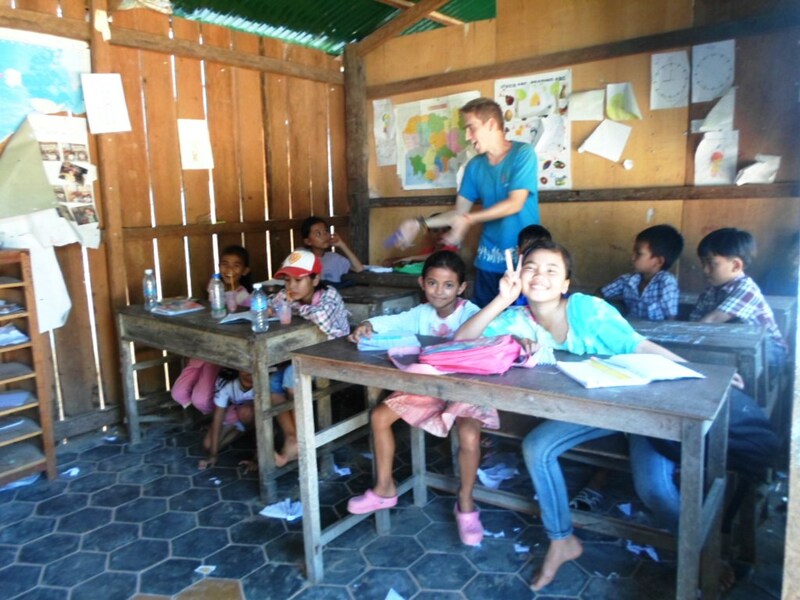 The aim of CDO is to allow the children, once they have completed class D, to go to the university or get a good job. 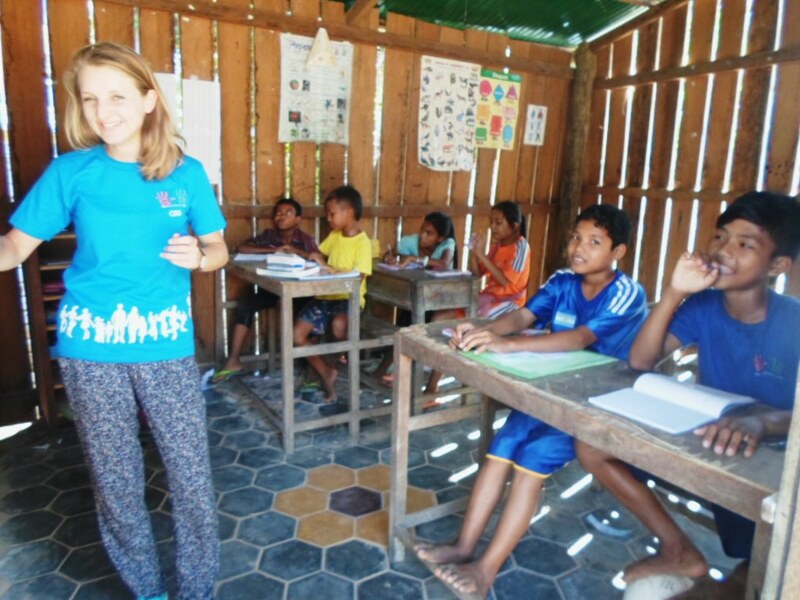 Teachers are either Cambodian or international volunteers. The children have dreams and we want to help them make it real. Ask them what they want to do as a job: they would tell you doctor, engineer, English guide, banker…. These classes are designed to help them achieve their ambition.